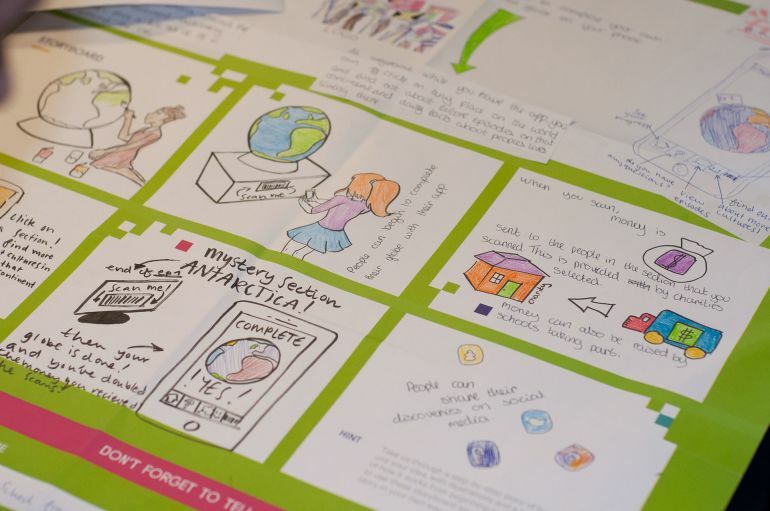 On Tuesday 13th November, six of our experts in technology, strategy and digital transformation joined forces with Bournemouth School for Girls for Digital Day. 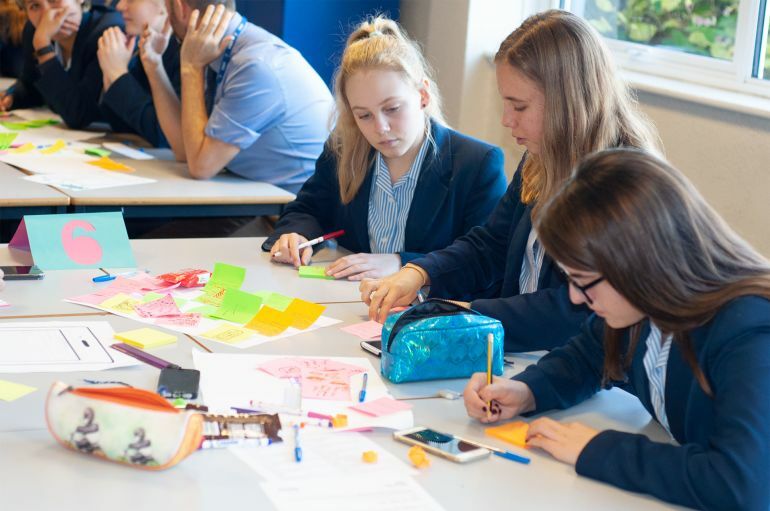 An annual event by BIMA, Digital Day sees some of the UK’s leading digital experts head into schools around the country to inspire future talent and raise awareness of digital careers. Research by BIMA has found that only 41.5% of students have any knowledge of the potential for a career in the digital industry. After taking part in Digital Day, that response increased to 97.7%, of which, 72.6% said they’d be looking into learning digital skills after participating in Digital Day. 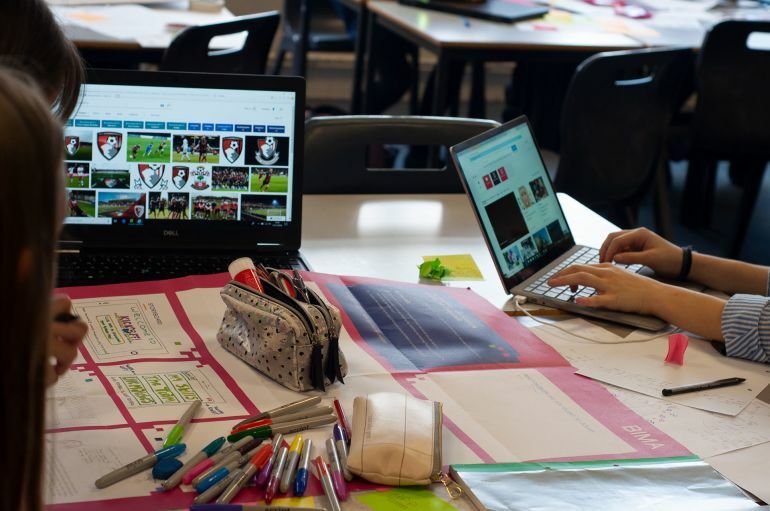 With that in mind, we set about inspiring and encouraging with over 40 Year-10 Graphics students throughout the day, focusing on three challenges set by Vodafone, BBC and the Football Association (FA). A winning team will be chosen for each challenge in January, with a prize of £500 for the school and a workshop with one of the Challenge Partners. A VR or AR solution to change how we shop on the high street for Vodafone. This year’s challenges provided a great springboard to get the students creating and devising their most innovative and exciting ideas yet. Our specialists not only helped the students develop their work, but also informally engaged with them about the opportunities and pathways into digital. Digital Day has become a really enjoyable fixture in the Bournemouth School for Girls calendar, one which our students really enjoy and take a lot from. As an agency, we’re very passionate about informing young people about career opportunities in digital. Working closely with local schools, we’re working hard to address the skills gap by offering knowledge-sharing days, workshops and work experience opportunities – alongside events like Digital Wave and Digital Day. I thoroughly enjoyed organising Digital Day alongside James, with the support from BIMA. We felt the day was a great success, with all the students getting involved, enjoying the challenges, learning about the digital industry and discussing opportunities available to them. All of the students had very innovative ideas – we wish them the best of luck for the winner announcement in January!